Meet the new chef at Motor Supply in Columbia, SC: Wesley Fulmer. Wes' CV includes kitchen gigs at Beard Award-winning restos Susanna Foo in Philadelphia and John Besh's Restaurant August in New Orleans. Exciting times at Motor! 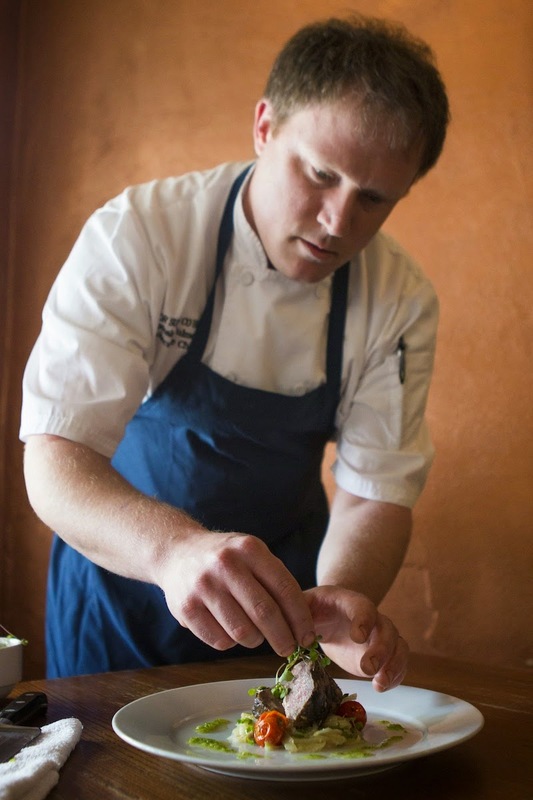 Chef Fulmer has most recently been Executive Sous Chef down at the Atlantic Room at the Kiawah Island Golf Resort, which might sound kindof unexciting if you have never eaten there. Resort food? Who cares? Except the resort food, and the service, and everything at the Atlantic Room is top notch and -- when I visited, it turns out, during Fulmer's tenure there -- reminded me of the best California resort dining rooms: in touch with hipster food trends but reverent of the finest of the fine dining mores. So I was pretty excited when I learned that Motor's new chef was moving up here from that kitchen, as you can imagine. Wes is a super awesome guy, and you should go say hi to him sometime soon!